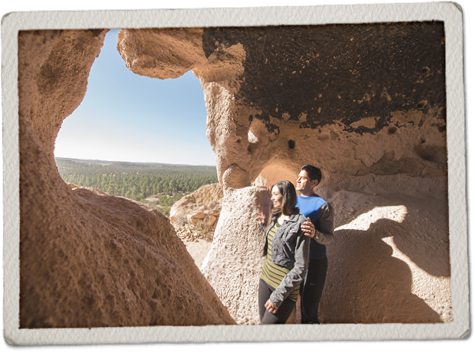 Welcome to Puye Cliff Dwellings, a National Historic Landmark and home to the ancestors of today’s Santa Clara Pueblo people. 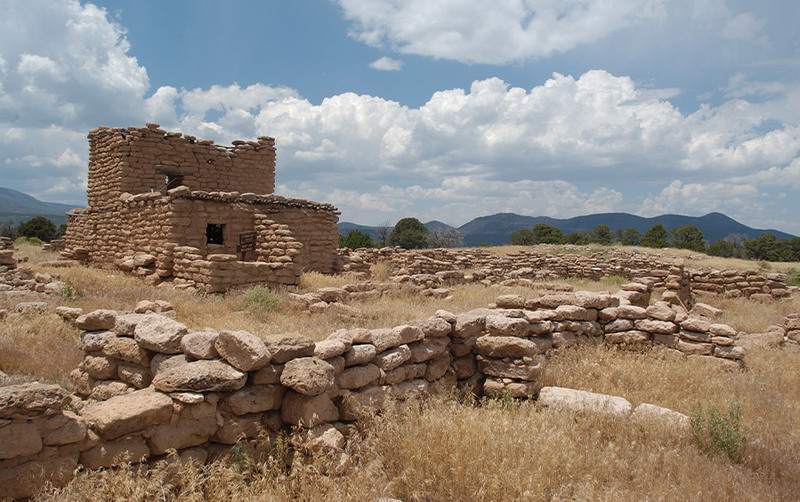 Experience one of northern New Mexico’s most awe-inspiring cultural attractions featuring cliff & cave dwellings, early Pueblo architecture, an original Harvey House and a stunning panorama of the valley. Spend time with us, and be touched by the spirit of a special place between the earth and sky. Gates open at 8:00 am. Tours start at 9:00 am and continue on the hour until 4:00 pm. Gates close at 6:00 pm. Gates open at 8:00 am. Tours start at 9:00 am and continue on the hour until 2:00 pm. Gates close at 4:00 pm. A 100 yard paved path incline from the Harvey House to the Cliffside structure at the bottom of the Cliffside. Follow your guide along a paved trail from the Harvey House to a level of dwellings and ruins on the face of the cilff. 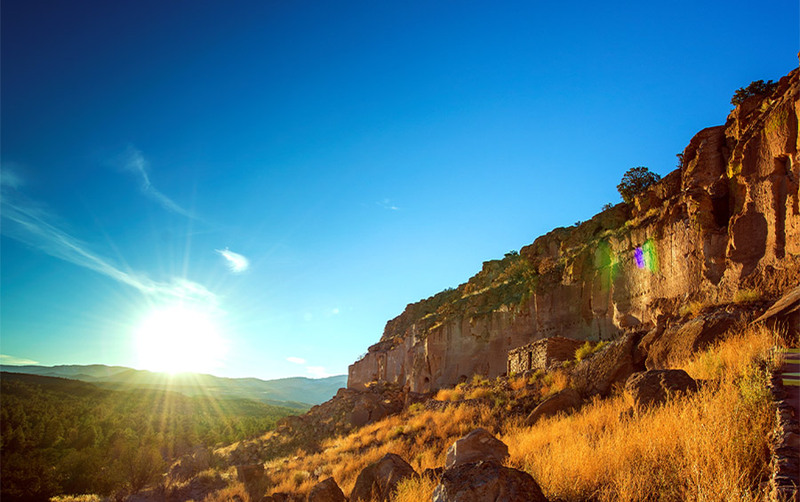 Ride to the top of the mesa, where you will view and discuss how our ancestral Tewa people used to live hundreds of years ago. 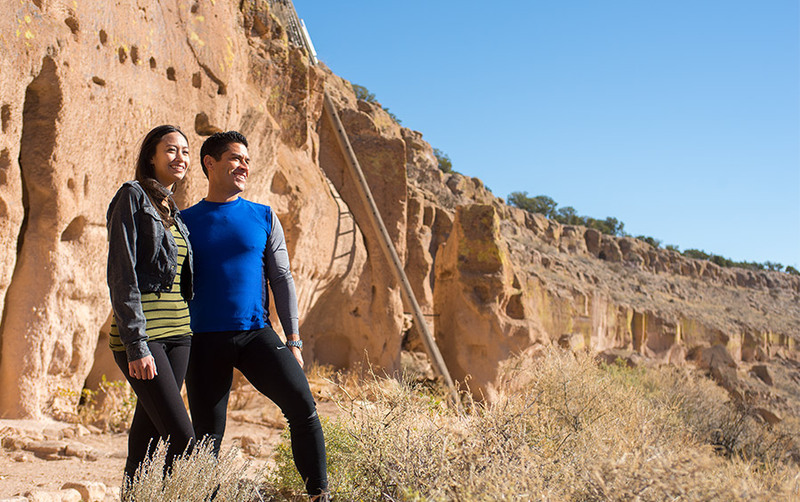 Treat yourself the complete Puye Cliff Dwellings experience including the Cliffside and Mesa Top Tours. 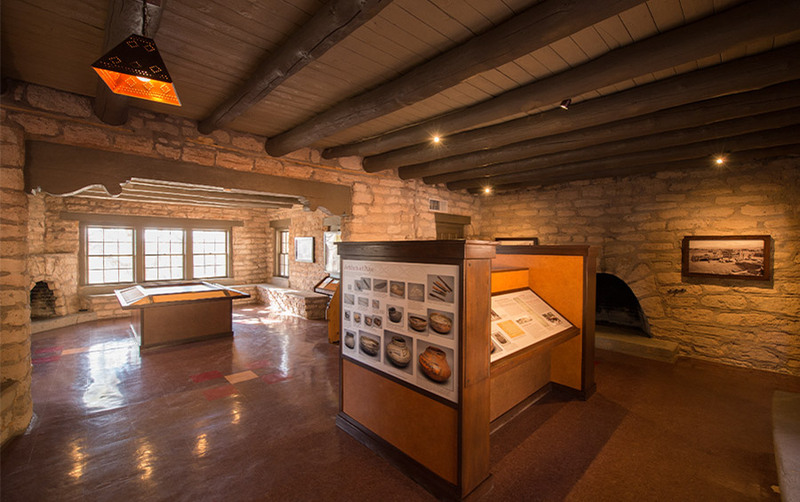 Puye Cliff Dwellings will be CLOSED on April 17, 2019 through April 21, 2019. We will re-open on Monday, April 22, 2019.